> Cute Oh baby! 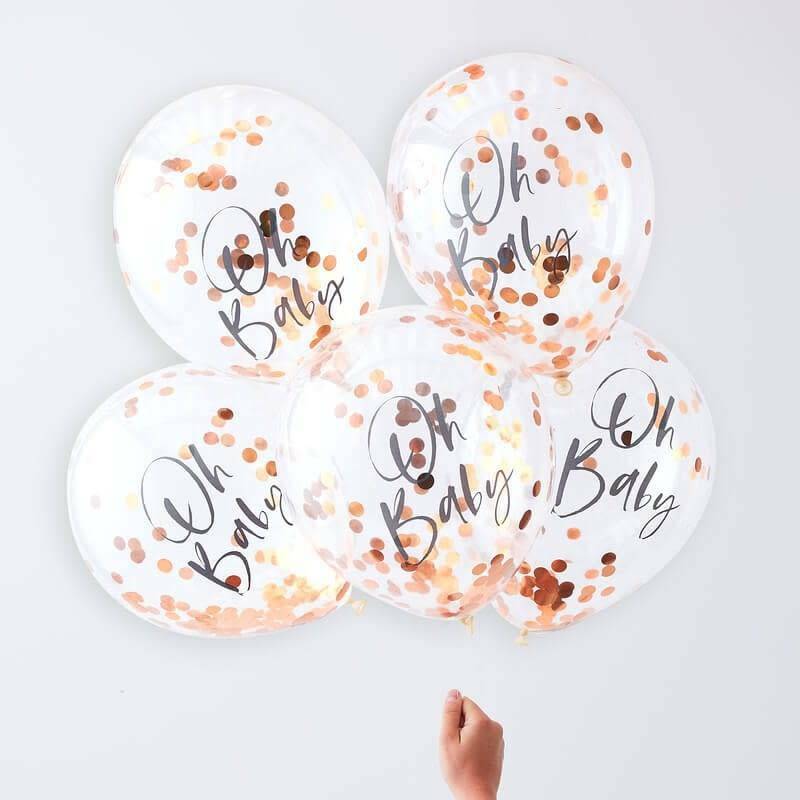 Printed rose gold confetti filled balloons - perfect decorations for any baby shower. 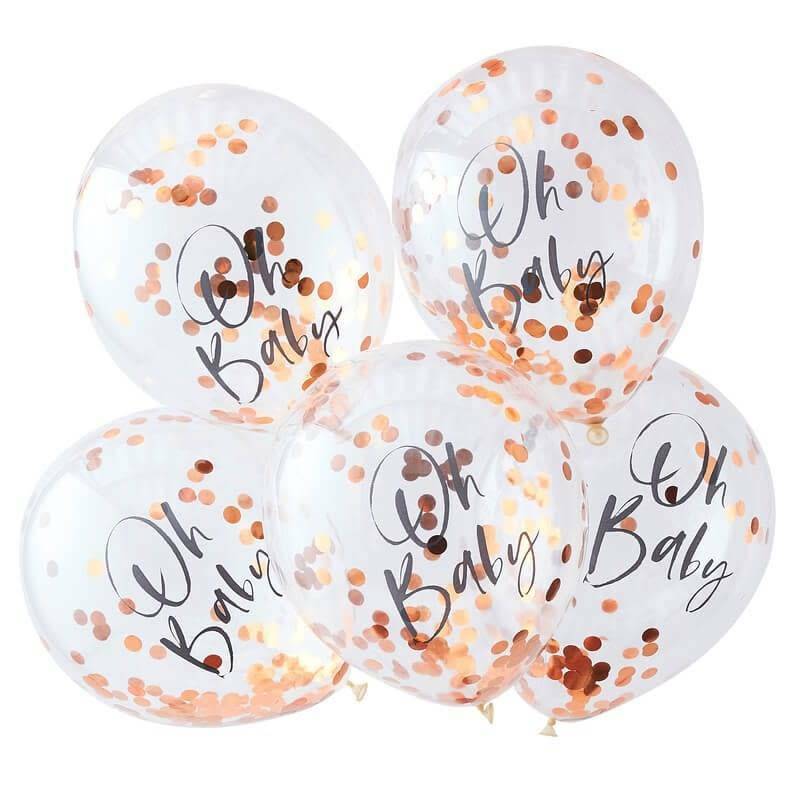 > Pack contains 5 balloons measuring 12"